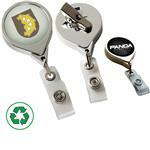 3/4-inch wide lanyard with swivel bulldog clip. 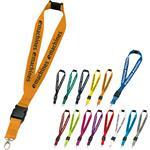 This is one of our more popular budget lanyards. Price includes and imprint on one side. Second location setup & run charge waived if both sides decorated with same artwork. A great bargain rush lanyard. 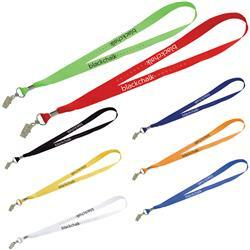 3/4-inch wide lanyard with swivel bulldog clip. Second location setup & run charge waived if both sides decorated with same artwork.